Former Chelsea striker Demba Ba‘s career could be over after the 31-year-old suffered a horrific broken leg in the Shanghai derby at the weekend. The Senegalese marksman tangled with SIPG defender and captain Sun Xiang in the 63rd minute of his side’s 2-1 Chinese Super League victory. As the pair fell, Ba’s left leg was caught between the turf and his opponent’s boot, bending at a sickening angle and then appearing to snap gruesomely below the knee. Shenhua’s medical team raced on to the pitch without waiting for the referee’s signal and the match was stopped for eight minutes while the Chinese Super League’s top scorer, with 14 goals, was treated on the pitch before being taken to hospital. Speaking after the match, a visibly shaken Shenhua coach Gregorio Manzano said the incident was potentially career-ending. “In my 33 years as a coach I have won, drawn and lost games, but today is the most bitter victory because what happened to Demba Ba is what no one ever wants to see,” Manzano said. Shenhua, who won the match 2-1, described the injury as a broken leg and said the incident — for which Sun was not booked — was “unfortunate” in a statement released on Monday. Manzano told local media that Ba, who also played for Newcastle and West Ham in England, would be out for at least seven months. “If I can choose, I’d rather lose the match than lose Demba Ba,” Manzano told the Shanghai Daily newspaper. Ba‘s former club Chelsea posted a message of support on their official Twitter feed. “All at Chelsea FC send our best wishes to former striker @dembabafoot. 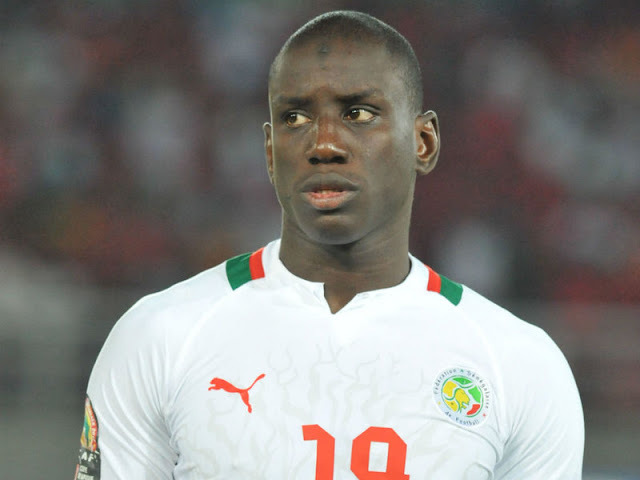 Get well soon Demba.” it said. The incident took the gloss off a pulsating and tempestuous Shanghai derby watched by more than 24,000 fans that saw 10 yellow and two red cards as both sides finished with 10 men. Chinese international forward Wu Lei put SIPG ahead in the 55th minute with a stunning strike from outside the box. Shanghai-born playmaker Cao Yunding equalised for Shenhua with just three minutes of the 90 left, before a Freddy Guarin penalty five minutes into added time sealed a dramatic 2-1 win for the home side. Elsewhere big-spending Jiangsu Suning lost 3-0 away to newly-promoted Yanbian Fude in the shock result of the Chinese Super League weekend action. And a late double from Chinese international midfielder Zheng Long in the last 10 minutes saw Luiz Felipe Scolari’s table-topping Guangzhou Evergrande beat Changchun Yatai 2-1 away from home to extend their lead over second place Suning to 13 points.